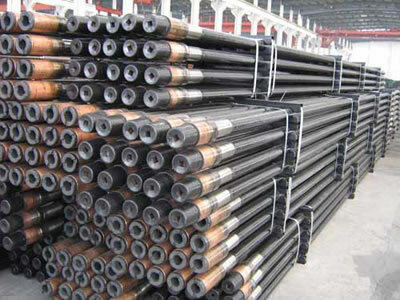 We are a drill pipe manufacturer and supplier in China. Our drill pipe is a piece of oil drilling equipment that is made in accordance with API 5D, API SPEC 7 Standards. The material of drill pipe body is chosen by the 1 and 3 group of API 5D. (Group 1-Grade E75; Group 3-Grade X95, G105, S135). The tool joints, which are up to API SPEC7 Standards, can be selected by our customers. As an experienced oil drilling equipment manufacturer in China, we know how to produce quality well cement tools, solid control equipment, and oil drilling tools at low costs. As a result of their superior reliability and durability, our products are well received by customers in Russia, Germany, America, Kazakhstan, Singapore, Australia, Brazil, just to name a few. We are looking forward to serving more global customers. Welcome to contact us for more information about our drill pipe. We are a professional kelly manufacturer and supplier in China. Our oil drilling kelly, a type of drilling equipment, is driving section of the whole drill stem. We can provide both square kelly and hexagonal kelly for you to choose from.